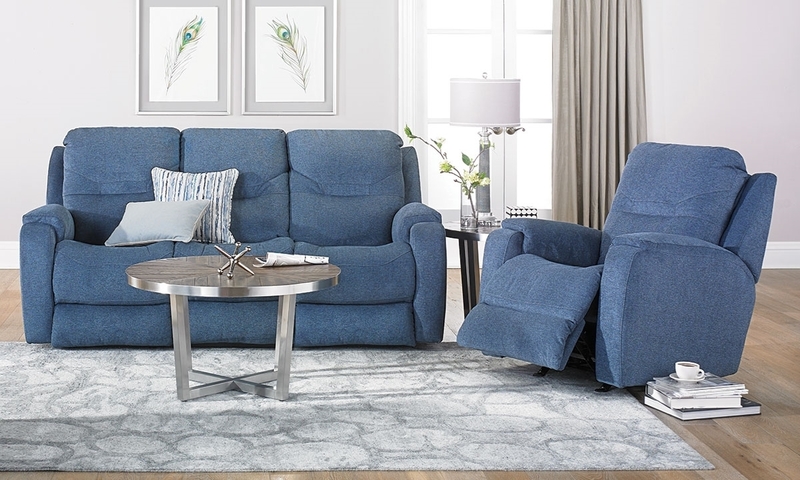 Relax on this power reclining sofa with power headrests, power lumbar support and memory foam bucket seating in refreshing navy fabric. No time to escape to a seaside resort? Kick back and relax anytime with this power reclining sofa in cool navy blue upholstery. Its deep bucket seating layered with memory foam combines with the full-leg chaise, power headrest and power lumbar on both reclining ends to create a personalized cradle of comfort. Be sure to take advantage of the USB ports integrated with this sofa’s touch controls to keep your phone or tablet fully charged while listening to some soothing tunes.